Rachel believes that counseling, while at times can be problem-centered, is not always about fixing the self but rather a venture of learning how to love and embrace oneself fully. Rachel sees the therapeutic relationship as space for vulnerability and connection, where one’s authentic self can be present without fear of judgment. Rachel appreciates how difficult therapy can be and collaboratively works with her clients to ensure they feel safe enough to confront difficult topics with bravery and confidence. Rachel believes in a psychodynamic approach where focus in sessions is on helping clients explore early life experiences to gain insight into the lens through which they view their world and current day problems. Rachel trusts that exploring past experiences can help clients recognize recurring patterns and understand how they tend to cope with distressing situations in potentially problematic ways. Rachel also uses cognitive behavioral therapy to increase awareness of how thinking impacts feelings and behaviors. Rachel is experienced in addressing a wide array of presenting problems, including relationship and family issues, life transitions, mood disturbance, anxiety, trauma, stress management and addiction. 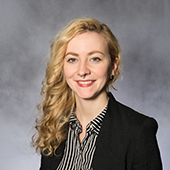 Rachel received her Master’s in Counseling Psychology from Northwestern University and completed her clinical internship training at Kenneth Young Center in the northwest suburbs of Chicago. Additionally, Rachel has spent recent years working with the Chicago Public School system counseling at risk youth. Prior to her graduate work, Rachel received her Bachelor’s degree in Psychology from Indiana University, where she participated in research for a social development lab and completed an honors thesis. Rachel also has a certificate in neuroscience and a minor in sociology.